You already know that the only way how to get high on weed legal is to move in a country where the use of marijuana is legal and permitted. That much is clear for now. But how do you find the authorities that can really sell it to you? And how do you get them to actually give it to you…do you know where is weed legal? Well, that’s what I’m going explain to you in today’s blog post. I’ve done researches over the last few weeks I’ve been trying to find a way how to get high on weed legal if I wanted to. The results I share with you are AMAZING. Before I start showing you my ultimate way how you can smoke weed legal… I’m going to let you know the requirements you need to enjoy public spliffs without getting arrested or using a sploof to hide the smell of dank weed. Find a way to move in states where weed is legal even without a doctor’s letter. Find out the requirements to buy weed legally. Never have too much weed in your pockets! It depends on the state you’re in how much you can carry with you. And you’re ready to take off. Now we’re going to break down each step in detail. When I heard the news, I was thinking that the opportunity is perfect to reach out to the people and explain to them how they can get weed legally in states where marijuana is legal. Let me say, It was quite easier than I thought. The first thing I’ve done was searching for marijuana stores which are located in the states where smoking marijuana is permitted. For example, I did a research about “recreational marijuana stores” that is located in California. I will list the best marijuana stores I could find below. In California, you can smell weed in public quite often. It’s one of the most tolerant states when it comes to cannabis. Marijuana got decriminalized in California for the first time in 1975.Medicinal marijuana got legalized 21 years later in 1996.Let’s start with some of the best legal weed shops in California. Recreational marijuana got legalized in California on November 8, 2016.Since then more and more marijuana stores are opening their doors. 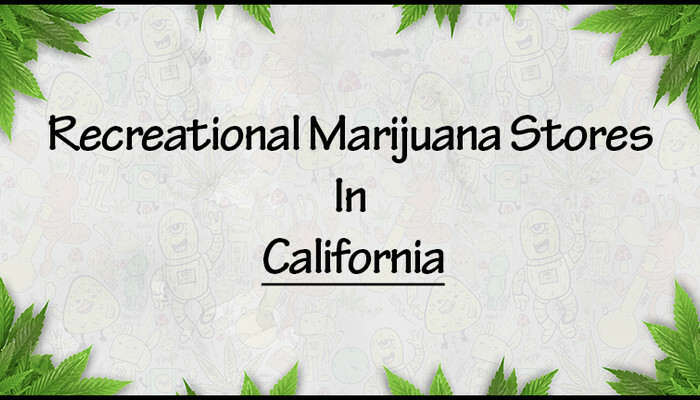 I was searching for the ten best recreational marijuana stores in California which are totally worth to visit.This list will help you to find the best marijuana stores in California where you can buy legally weed from and get high on it. 1. CBCBCBCB is located in Berkeley, California and they’re well known for educate and train people about the use of marijuana. At CBCB you can find hundreds of published studies, books, articles and more. They offer an amazingly good quality of medical cannabis and the quality improve the effect of the cannabis medicines. For lazy stoners, they offer even a delivery service. 2. Harborside Health CenterThe health center got founded in 2006 by longtime activist, Steve DeAngelo. The Harborside Health Center is one of the best medical cannabis dispensaries in Oakland, California. Harborside is one of the largest medical cannabis dispensaries in the United States. They have over 200,000 registered patients and offering a special program to support education for seniors. 3. KushmartKushmart is located in Downtown, Los Angeles. They want to give their patients the best experience. Kushmart is known to be one of the largest medical marijuana collectives in Los Angeles. A lot of patients go to Kushmart because the staff is incredibly helpful and knowledgeable. Believe me by saying that the selection of strains they have is unbelievable huge. 4. Green Goddess CollectiveGet high with Green Goddest, they’re located in Los Angeles, California. They can provide you with quality marijuana that will get you dank high. You can be sure that they won’t disappoint you. Over the years Green Goddess got a lot of attention from cancer patients because of the good staff that can help you with any question. If you are looking for a good dispensary you should check them out. 5. Exhale Med CenterOne of Los Angeles best dispensaries is the Exhale Med Center. This dispensary is located in West Hollywood and you can find pretty much everything you need there. 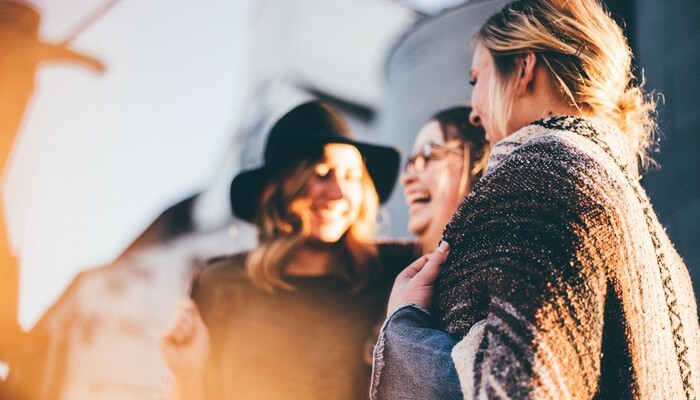 They can offer you a few really cool services like acupuncture, therapeutic massage, yoga, peer counselors and resources on alternative healing. You should definitely check out their membership program. 6. HERBHERB was founded on the belief that cannabis patients need something better than the standard services around California. They believe in quality over quantity and are always looking to improve their dispensary. You should really try out their service, I can promise you that they have the knowledge to answer you anything you want to know. 7. Koreatown CollectiveKoreatown is located in Los Angeles, California. They really know how to get you super high. They got a huge collective with all kind varieties of medicinal cannabis, including sativa, indica, hybrids, wax, hash, concentrates and much more. You can get also professional equipment there. The staff is super helpful and friendly. They trying to make clients feel comfortable and guiding them in their choice. 8. Top Shelf DeliveryAre you tired of waiting in lines to get your weed in dispensaries? Well, let me say with Top Shelf Delivery you have nothing to do besides to place your order. This unique delivery service is well known and a lot of people been using it for years now. The offer a high-quality product to you fast and easy. They located in Los Angeles and deliver to Downtown LA, West Hollywood, San Fernando Valley, Beverly Hills, Burbank, Glendale, Los Feliz, Korea Town and Hollywood. I’m sure they won’t disappoint you. 9. La Brea Compassionate CaregiversEvery time you are there you can feel that the staff is the little extra bonus you get in addition to this amazing dispensary. La Brea Compassionate Caregivers offers MMJ patients a welcoming and home feeling environment. The staff is informative, super helpful and excellent in giving you the right advice. 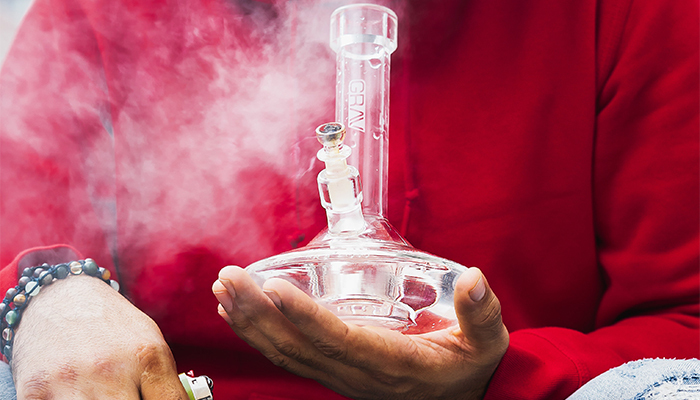 They offer a medical marijuana, edibles, concentrates, vaporizers, glass and more. 10. TLC CollectiveTLC Collective is located Downtown, Los Angeles. They try to offer their patients the highest quality of medical cannabis to the lowest prices. You can find at TLC Collective the world’s most exclusive strains in both flower and concentrate form. TLC is one of the dispensaries which has the most affordable prices in the city of Los Angeles.I will keep this list up-to-date.If you have a question feel free to contact us. If you know any good recreational marijuana stores, let the community know them in the comments! As you can see, there are a few amazing marijuana stores that you can choose to buy your weed from. Are you ready to get yours legally? 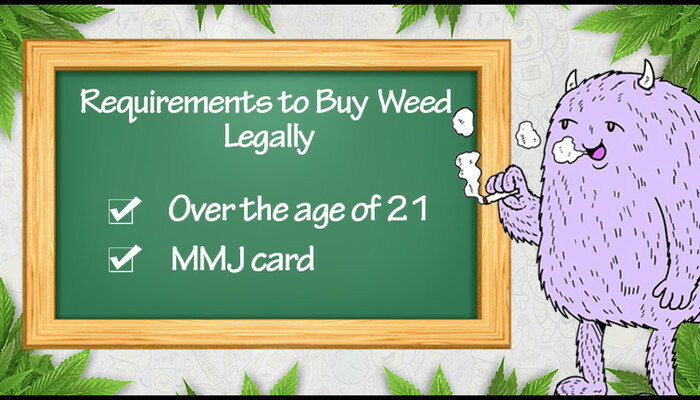 Do you know already the requirements you need to buy weed legally? Roll another joint and keep reading. 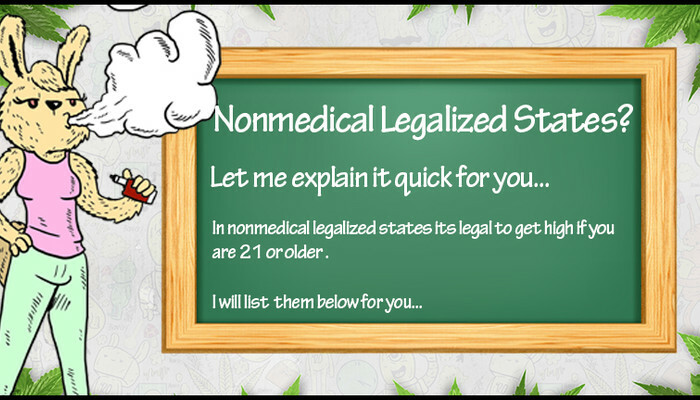 Now that you’ve found a nonmedical legalized state and a recreational marijuana store, it’s time to find out what the requirements are to get weed in nonmedical legalized states. There are 3 requirements that you need to get your marijuana from a recreational marijuana store. 1. You need to be over the age of 21 to smoke weed legally. Through the ”Adult Use of Marijuana Act”, people who are 21 and older can legally possess and buy marijuana up to 28.3 grams (which equals an ounce) for recreational use in California. 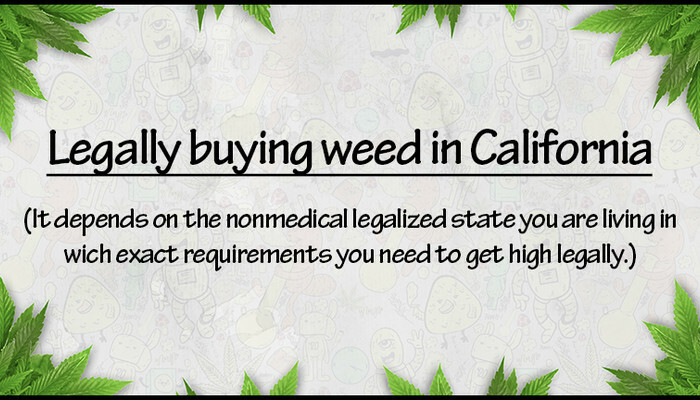 You can possess in California up to an ounce of marijuana for yourself. 2. Keep in mind that you still need a medical marijuana card. I was thinking before that I needed to be a citizen of California to get my marijuana card. Well, I don’t. It can happen tough that a few Cali dispensaries do not accept out-of-state patients. You can apply online for a medical marijuana card at NuggMD. In California, marijuana dispensaries are going to accept that if it’s in a written letter format. You don’t need a California identification card (ID Card) to get weed legal in California. I advise visiting your doctor first. Talk to your doctor and give him to know why you feel better when you’re high. You can even find special 420 doctors which are giving out medical marijuana licenses. With a prescription from your doctor you can just walk into any dispensary in California. Now you know the requirements that you need to get high on weed legal. Step #3: Find out how much weed you can carry legally. Most things are clear for now on how you can get legally weed in California. 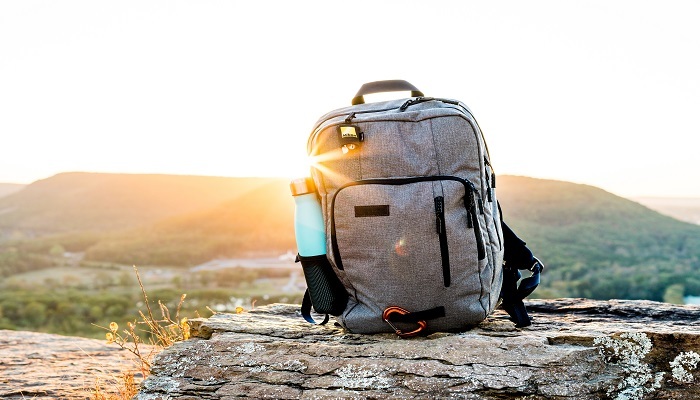 It’s time now to talk about how much you can carry with you. It depends on the nonmedical legalized state you’re in. In California, you can carry the same amount of weed that you possess (an ounce). 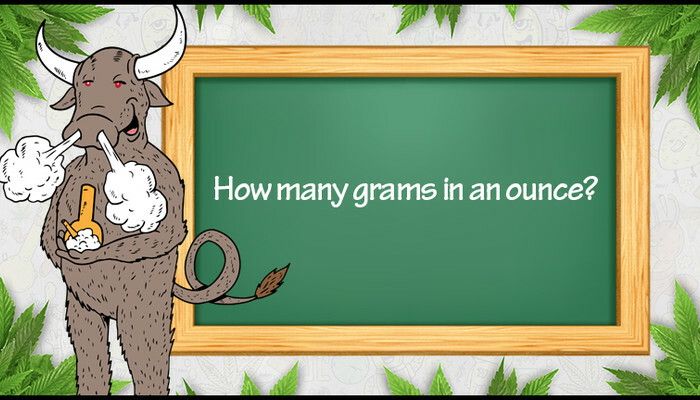 The right answer is an ounce equals 28,3495 grams. In California, you can carry up to 28,3 grams marijuana or 8 grams of cannabis concentrates in public. I hope this guide will help you on how to get high legally. Do you have any other related question? Let us know below or write us (we will always answer).